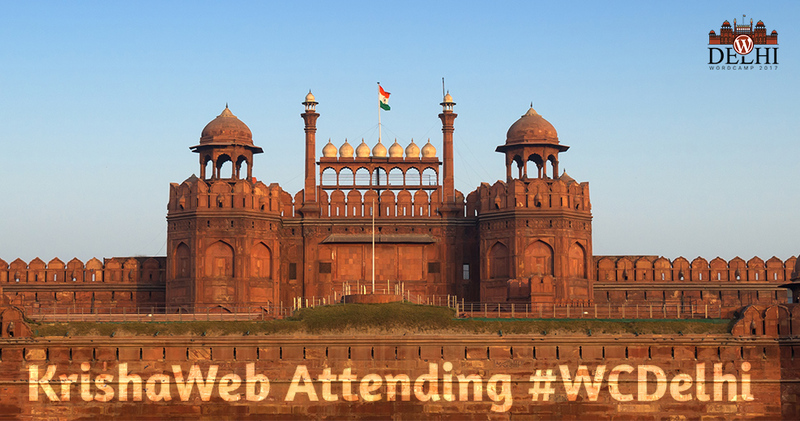 KrishaWeb is pleased to announce their visit to the WordCamp Delhi on 19th August. WordCamps are the community driven WordPress events. We at KrishaWeb, like to participate in such events happening in the country. WordCamp Delhi will the fourth WordCamp visit by the KrishaWeb in 2017. Few of the Krishaitians will be there at NDMC Convention Center during the WordCamp Delhi. The event will start in the Morning at 8:30 with the registration followed by the two tracks of different technical and business sessions. Check out the detailed schedule of WordCamp Delhi here. You will also find Mr. Parth Pandya from our team speaking about the different aspects of Relationship Marketing in #WCDelhi. His talk is about the Relationship Marketing and generating leads from social media for WordPress business. He will discuss the three core concepts of the relationship marketing: Affinity, Discovery and Validation. You will also get to know about how one can use these concepts on twitter for generating the leads. We are very excited about visiting the capital city of the country and looking forward to meeting lots fellow community members. Do not hesitate to come and meet us at the event. We would love to have words with you. You can also find us on Twitter at @KrishaWeb or @ImParthPandya. So, here we come Delhi. See you at the WordCamp.